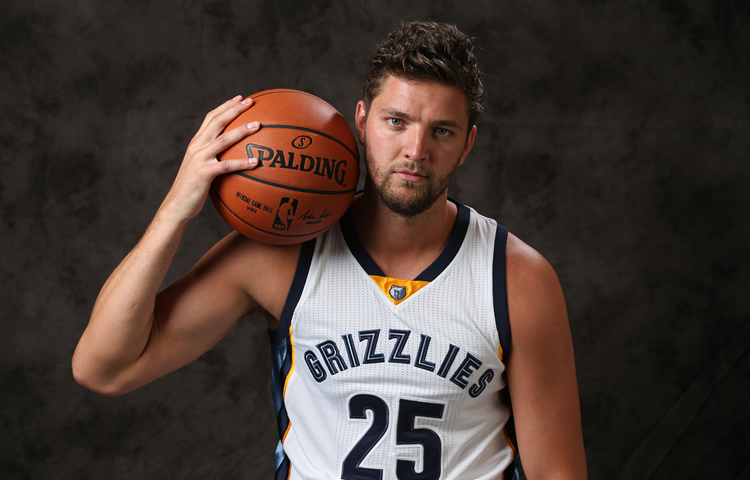 Chandler Parsons’ Memphis Grizzlies tenure is not off to the most ideal start. This was always the risk in signing Parsons to a four-year, $94.8 million deal. He is one of the game’s better playmaking forwards when he’s healthy—tall enough to get shots off over defenders, comfortable with putting the ball on the floor, smart enough to brink the rock up the court and serviceable enough on the defensive end. But his history of knee troubles looms large and no doubt contributed to the Mavericks’ decisions not to re-sign. Parsons is a risky gambit for the Grizzlies in particular because they’re so damn fragile at the top. Marc Gasol is coming back from a broken right foot and already aggravated it during the preseason; Mike Conley missed the final 20 games of 2015-16 with an Achilles injury; Tony Allen hasn’t cleared 65 appears in a half-decade; Brandan Wright won’t be ready to rock on opening night himself; and Vince Carter, 39, and Zach Randolph, 35, are just plain old. At full strength, with zero health problems, the Grizzlies profile as a mid-tier Western Conference threat. The question is: Will they ever be at full strength long enough to reach that ceiling?